Suzuki Philippines Automobile - Way of Life! A COMPLETELY NEW AND HIGHLY EVOLVED SUV HAS ARRIVED WHILE INHERITING SUZUKI’S SUV SPIRIT. THE VITARA IS BACK! A REFRESH FROM ONE OF SUZUKI'S MOST POPULAR AND FASTEST-SELLING CARS. ENJOY LIFE’S PLEASURABLE MOMENTS AS YOU SHARE APV WITH YOUR LOVED ONES. THE CIAZ BLENDS SPORTINESS THAT CONVEYS THE EXPECTATION OF DRIVING AND A STUNNING FEELING OF ELEGANCE. WHEN IT COMES TO INTERIOR SPACE AND COMFORT, CELERIO IS LITERALLY HEAD AND SHOULDERS ABOVE THE REST. THE ALL-NEW SUZUKI SUPER CARRY IS THE BEST PARTNER FOR ALL YOUR BUSINESS NEEDS. THE APV UTILITY VAN IS THE BEST PARTNER FOR YOUR BUSINESS NEEDS. Aenean mauris eros, tempus id leo sit amet, commodo facilisis sapien. Aenean feugiat id enim sed mollis. Nulla ac molestie nibh. Donec eu sem quam. Nulla eleifend viverra rhoncus. Fusce ullamcorper pulvinar nunc, sed placerat urna. Duis eu tempor leo, hendrerit volutpat urna. In at elit sapien. Donec et leo sed nisl convallis placerat. hide WARRANTY COVERAGE Know the extent of your vehicle’s warranty coverage. hide PARTS AND ACCESSORIES Check what parts and accessories are best fit for your vehicle. 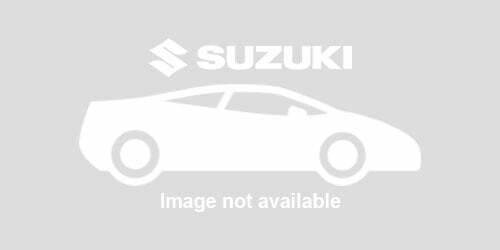 WHERE TO BUY SUZUKI CARS? OR SCHEDULE A TEST DRIVE?